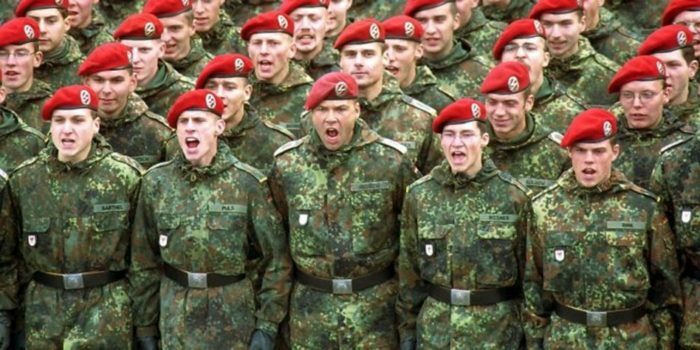 …Since taking office in 2013, German Defense Minister Ursula von der Leyen has done little to alleviate the problems in the military. The best-known projects during her tenure were kindergartens for the soldiers’ families; the procurement of flat screen television sets and mini-fridges for the barracks; the announcement of efforts to make the German army “more attractive for gay, lesbian and transgender people”; buying uniforms for pregnant soldiers, and making battle tanks suitable for pregnant soldiers. As worthwhile as these efforts may be, they do little to address the core problems.